—I was grateful for Peter Hart’s thoughtful review of my book Spies, informers and ‘the Anti-Sinn Féin Society’ in the last issue (HI 15.2, March/April 2007). However, I would like to clarify a few issues that he raised. As Prof. Hart points out, my theory about a pro-British civilian spy ring in Cork City relies on assertions by numerous IRA veterans that such a network existed. While this testimony (mainly the Ernie O’Malley interviews) should be approached carefully, the statements cannot be dismissed simply because they justify various IRA actions in Cork. Hart himself had no such hesitation in using this same source material throughout his landmark The IRA and its enemies. Hart also asks whether we can conclude the innocence of ‘those to whom the police or army were apparently indifferent’. We cannot. British records from the period are fragmentary, incomplete and often unreliable. Very few reports deal with specific cases, and even then conclusions by one arm of the Crown forces cannot account for the activities of the multiple British intelligence agencies operating in Cork City during 1920–21. Hart’s evidence about the possible guilt of Cork’s civilian victims rests largely on post-conflict reports by the British Army and Sir Ormonde de Winter, which are general summaries rather than individual dossiers. While available British records do not prove the guilt of those civilians executed by the IRA in Cork City, neither do they prove their innocence. I disagree with Hart’s assertions that ‘there is little direct evidence’ implicating the Cork victims. Of the 32 cases I examined, twelve of the victims were associated with Crown forces. In the remaining cases, there were either unsubstantiated IRA accusations of complicity or no mention of the victim at all. 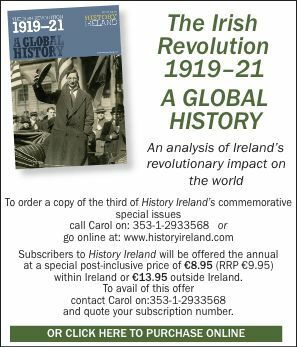 The absence of additional IRA evidence is not surprising, since the Volunteers usually destroyed records concerning informers rather than risk them falling into British hands. In terms of the IRA’s relationship with Irish ex-soldiers in Cork, I believe the situation was more complex than Hart states. ‘Separation women’ did feature prominently in the city’s numerous street disturbances of 1916–18, but Republican hostility was mainly directed towards British, rather than local Irish, soldiers. For example, Cork’s British Army Southern Command reported in September 1917, ‘Quite a friendly feeling is generally shown to soldiers in Irish regiments but English and Scotch soldiers are, as a rule, looked on with suspicion and dislike’. I agree with Hart’s emphasis on the cycles of reprisal and counter-reprisal violence in Cork City. Where he and I differ, however, is that I found the IRA’s reprisals inevitably directed towards members of Crown forces rather than local civilians. While this selection decision ‘would seem odd’ to Hart, nevertheless it is borne out by events in Cork. In case after case, from the deaths of successive IRA commanders Tomas MacCurtain and Terence MacSwiney, to the execution of IRA prisoners at Victoria Barracks, to the killing of six Volunteers in Clogheen, the Cork City IRA struck back violently at those considered guilty for its losses. However, in all these cases the targets were members of the police or military (and one implicated member of the IRA) rather than local civilians.